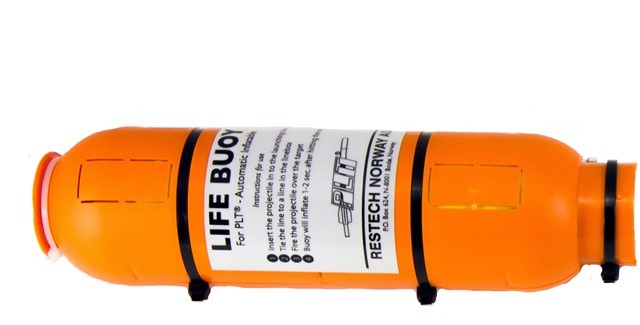 The Rescue Egg contains an automatically inflatable life buoy. It inflates within 2 seconds after entering the water. There is no line attached to the Rescue Egg since it is meant to provide buoyancy. The cover acts as a sea anchor. The inflator has an expiry date and uses 33-gram CO2 cartridge.